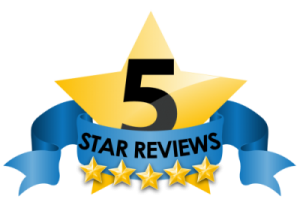 Gerard W. reviewed Total Body Pilates & Yoga 5 stars, August 19, 2016; “If you had told me six months ago that not only would I be hitting the studio four to five times a week, but it would be a highlight of my day, I would’ve told you you were nuts.But that was before a friend recommended Total Body Pilates and Yoga (TBPY). Coach Nicole makes fitness a fun, turnkey operation. You don’t have to purchase, maintain, or store fitness equipment, nor you have to figure out what workout to do — you just show up to a clean, nurturing environment and do the work. It’s different, varied, and short enough that it doesn’t feel repetitive and boring, and intense enough that you’ll see steady gains in functional fitness. I’m significantly more flexible, energetic and better toned after just three months. Furthermore, not only am I stronger, but I’m better able to use that strength.